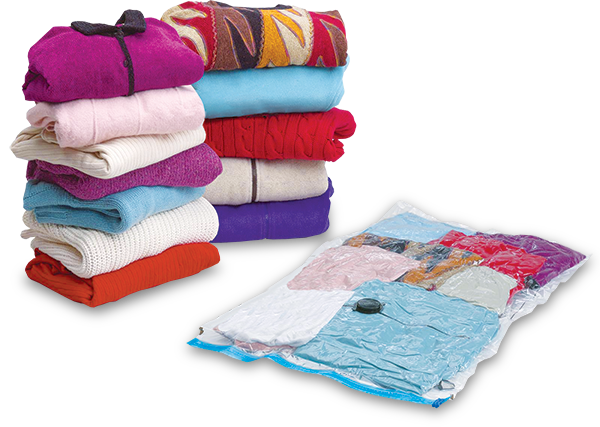 In just four simple steps you will be able to reduce the volume of your folded clothes and store them comfortably and away from dust and clothes moths until next season! 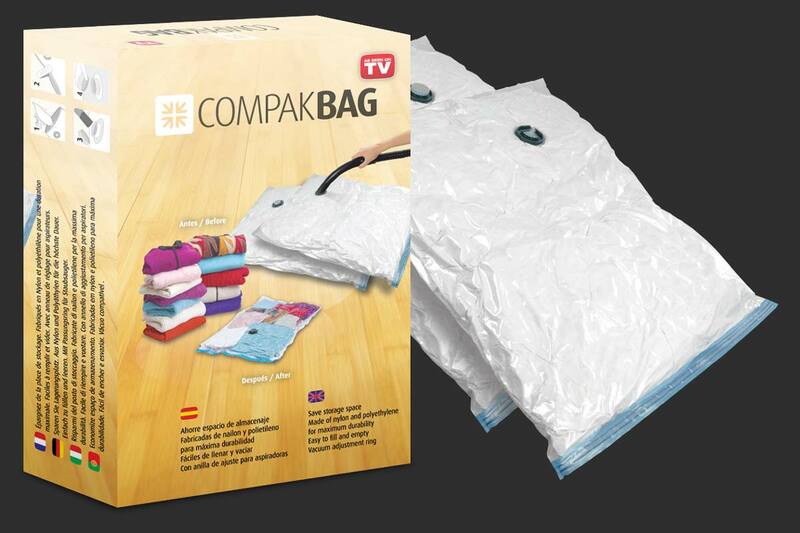 Compak Bag® is made of nylon and polyethylene of the highest quality to make it last as much as possible. 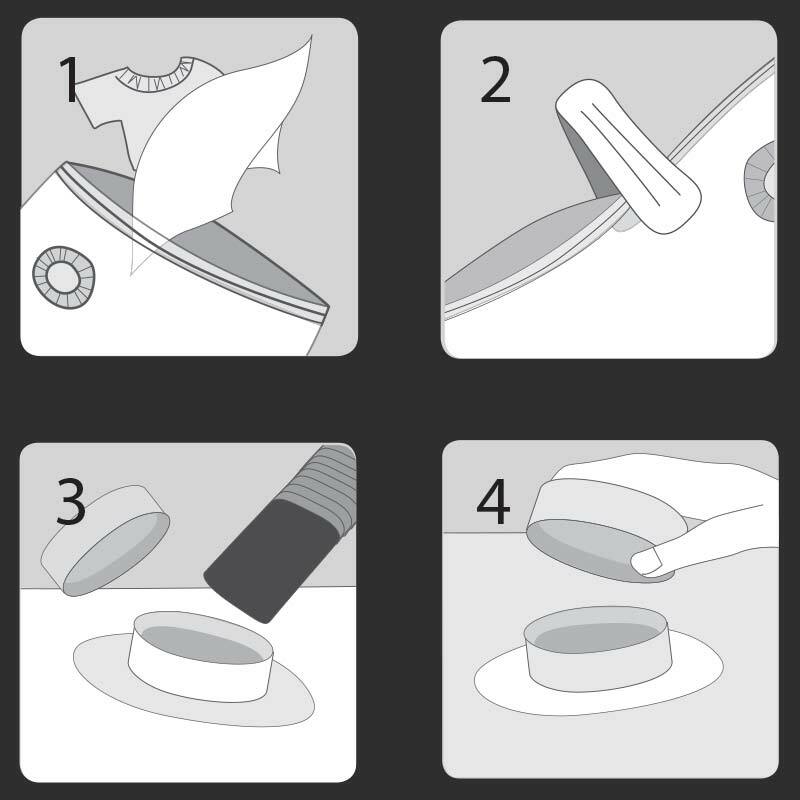 It includes a hermetic fastener to introduce the clothes and a suction nozzle in order to remove the air from it with a vacuum cleaner. In just a couple of minutes the bag will be compact and much less bulky, and your clothes will be much easier to class and store! Put your vacuum cleaner on the suction nozzle and extract the air from it. Do not forget to cover the nozzle again with its lid! Every few months we remove the clothes from our cupboard and replace them with the adequate clothes for the season beginning. Each time we waste a lot of time folding our clothes without knowing exactly how to put them in the cupboard! Compak Bag® and its logo are registered trademarks. All rights reserved 2013. info@compakbag.com.